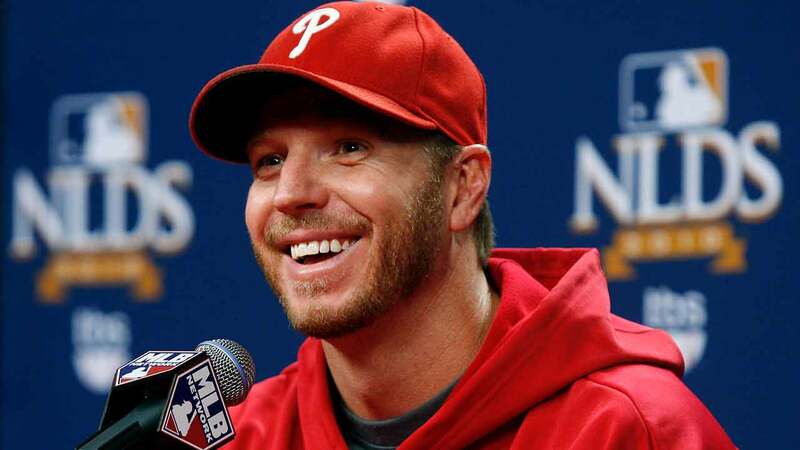 PHILADELPHIA (WPVI) -- The legacy of Roy Halladay will now have a permanent mark in Phillies history, as he will posthumously be inducted into the 2018 Phillies Toyota Wall of Fame on Saturday, August 4, at Citizens Bank Park. "This will be a very emotional evening as we not only honor the memory of Roy Halladay but also pay tribute to his extraordinary accomplishments on the mound as he becomes the 39th inductee of the Phillies Wall of Fame," said David Buck, Phillies Executive Vice President. The induction ceremony will take place prior to the 7:05 p.m. game at Citizens Bank Park during Toyota Phillies Alumni Weekend festivities (August 2-5, vs. Miami Marlins). Phillies players who were part of Halladay's career, as well as Halladay's family, will participate in the ceremony to honor the beloved "Doc." Halladay, who died tragically in November 2017 at the age of 40 after his plane crashed into the Gulf of Mexico, will be one of only four Phillies to be inducted into the Wall of Fame without a fan vote, joining Charlie Manuel, Mike Schmidt, and Steve Carlton. To be a member of the Wall of Fame is one of the highest honors bestowed upon a Phillie. In addition to the Wall of Fame ceremony, a flag bearing his No. 34 will be flown at Citizens Bank Park for the 2018 season as a tribute to Halladay's contributions to the club. Pat Gillick has been named the first Inaugural Executive Wall of Fame inductee. "The decision to honor Pat Gillick as the inaugural executive on the Wall of Fame was a unanimous one for the Phillies," added Buck. "Pat's illustrious career and impact on the game is one to be celebrated with fans, and we look forward to recognizing his amazing contributions to baseball on this historic day."